This November*, The Gambia Experience is offering a 7-night twin-centre holiday in The Gambia from £999 per person, resulting in a saving of up to £277pp, including the above early booking discount of £100pp; valid if booked by 31 August 2013. This offer is based on three nights in a Jungle Lodge (two sharing on half board) at the Mandina Lodges at Makasutu, followed by four nights in a Deluxe Room (two sharing with breakfast) at the Kairaba Hotel in Kololi. 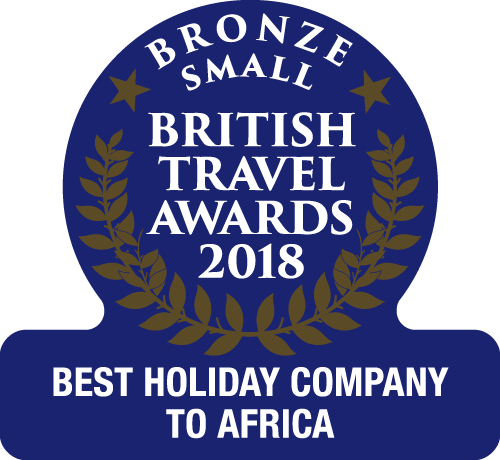 Return flights from London Gatwick or Manchester – Banjul (The Gambia Experience charter flights with Monarch), taxes and transfers are included in the price. The Mandina Lodges at Makasutu offer an award-winning, tranquil and wildlife-rich experience upriver in striking accommodation. The three Jungle Lodges (there are only nine lodges in total) are not actually in the jungle, but rather slightly set back from the River and closer to the restaurant, bar and pool area. An architectural delight with spiral staircase and stained glass windows, each Jungle Lodge comes complete with its own roof terrace looking out across the mangroves, perfect for bird spotting at sunrise or a private romantic dinner for two. The location of the Kairaba Hotel is a perfect contrast to the Mandina Lodges at Makasutu. Kololi is vibrant and bustling and an ideal base for further exploration of The Gambia. However, the extensive bougainvillea-filled gardens of the hotel offer complete relaxation, with croquet or a local band being in keeping with the entertainment one can expect. The extensive breakfast gives a flavour of the delicious food served here and upgrading one’s board basis is highly recommended. * This price is based on 01 November departure from Gatwick.